You've planned and planted, now don't let hungry animals or bitter winds ruin your new, delicate, seedling plants. The best thing about these is that they're much stronger than plastic one-season covers you'd have to buy again every new season. They're made of heavy-duty PVC, so you'll be able to store and use them for multiple years. The slits you see along the top help with healthy ventilation and easy watering. 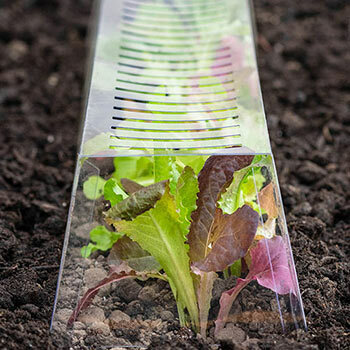 The material is also foodsafe, so if you're growing foods like lettuce, this is a good way to keep it safe. 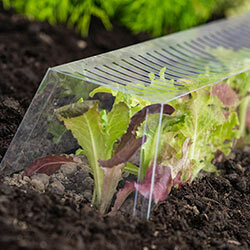 GrowAway Covers come as a 4 pack. L26.38" x H48"